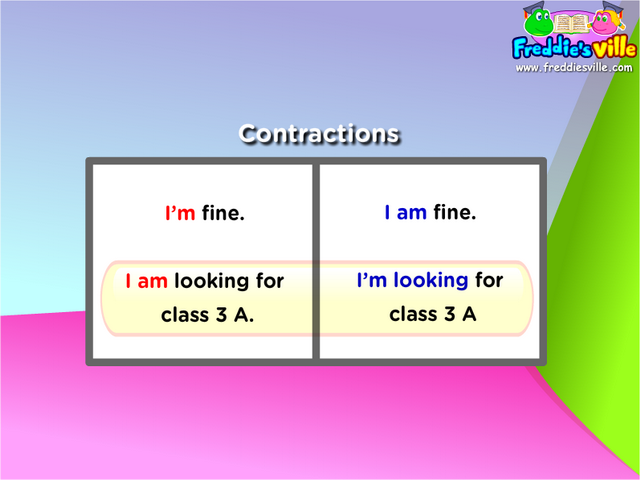 Grammar: This lesson will help kids learn to use more contractions in everyday dialogue. It is an addition to previous lessons. I'm looking for class 3 A. / I am looking for class 3 A.
I'm fine, thanks./ I am fine, thanks.